We all know that we need to give something to our guest to thank them for coming to our wedding and as memento of such special day. From small to bigger presents, here's some ideas. Enjoy browsing! We love Etsy to find handmade treasures that you can't find in the high street, specially little details that help you personalised the day. We can find personalised tags, golden feathers, little glass bottles, personalised invitations, yarns of ribbons, coloured sands and anything you can imagine for your crafts. If you'd like to make your own favours, this is the place to go! We had to recommend NOTHS. Shh... we are also sell in here. This page is fantastic for personalised handmade presents, of all types. For your Bridesmaids, your mom, your in-laws... Anyone. We do buy a lot in here mainly for special occasions, as service and quality is great. Enjoy browsing in this exciting site that has a Wedding section. Brigadeiro is a delicious, luscious, handcrafted Brazilian treat. Quality ingredients are slow cooked and then hand rolled into bite sized balls of chocolate indulgence, nutty delights and fruit sensations. We met Emmy at a wedding fair a few years ago and since, I've been addicted to this delicatessen. If you love chocolate and enjoy sweet moments, then you will fall in LOVE with Brigadeiros too! 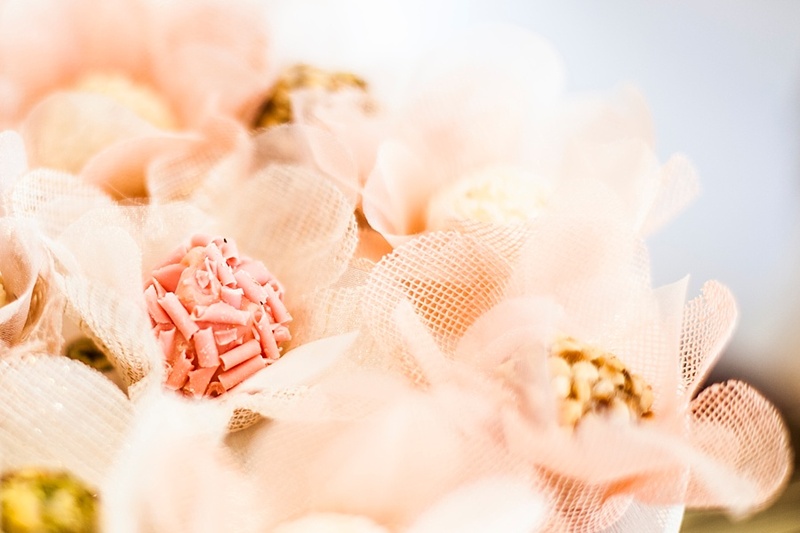 She can always present Brigadeiros to match your colour theme, how great!